Should the winning team of the All-Star game determine home field advantage in the World Series? The all-star game is played as an exhibition game of the best players voted by fans and the organizations. The NFL, NBA, and NHL each use the game for entertainment rather than competition. Major League Baseball uses a serious wager: home field advantage in the World Series. Shouldn’t home field advantage go to the team with the best record of the season? 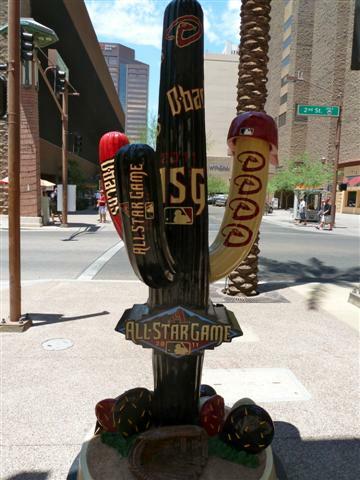 The question was posed during MLB All-Star FanFest in Phoenix over the weekend. A place for baseball fans of all ages and all teams gathered to celebrate and take in the every aspect of baseball. From memorabilia and Hall of Fame displays to interactive fun and autograph sessions with some of the game’s most admirable individuals, every team was represented at the Convention Center in Phoenix and every fan there had more than one thing in common. 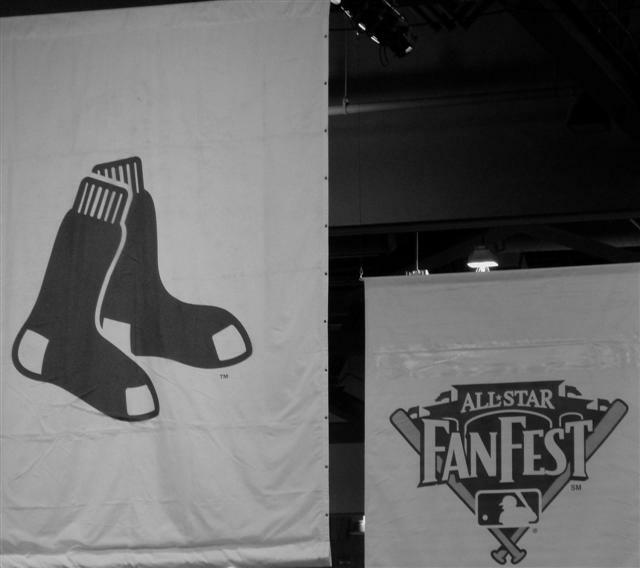 FanFest provided an aspect of the game, away from the field, away from the competition, and a new look at the commonality of the fans and incited new discussions of what the weekend even meant and what Tuesday’s game will entail. But with the best players competing for something a few months down the road, fans wondered if it was even worth it. Gambling over which undetermined teams will have the opportunity to play more home games during the Series is a notion some fans seemed uncomfortable with. “They work all season and then the best team might not even get the pay out of having to play on their field just because of this game,” one Boston fan said. However, another fan thought the stakes were worth it, “it gets the players to work for something for their league, American, National, that’s all that matters so it gives each player the opportunity to benefit their team or their league come October,” a Giants fan said. It’s an interesting question. But another fan pointed out that sometimes the “best players” don’t even play in the game. He yelled as a group of fans with Red Sox shirts and hats walked by, “rumor has it Beckett might not play Tuesday!” and in response a young man with a Papelbon jersey shouted, “good, he shouldn’t, we don’t want him injured!” Well, it was later confirmed that Beckett will play, but Alex Rodriguez is out with knee surgery, Jose Reyes joined the list of other players currently on the disabled list like Jon Lester, not to mention the pitchers who are ineligible after Sunday’s games. If the All-Stars voted by the fans and the league aren’t playing in the game, then is it okay to play for anything other than pure entertainment? Perhaps it’ll change in the future, but Tuesday’s game will have an impact on where games are played in October, and that puts pressure on a game that is pure fun in other sports, but quite meaningful in baseball. I was perusing your blog and noticed that you linked me on your sidebar. Much appreciated! Allow me to do the same.